As a photo-sharing platform, it’s important for your Instagram presence that your photos actually look good. Whether Instagram marketing is your goal, or you use the social platform for personal use, a grainy or strangely cropped picture is going to turn away followers. Or at the very least, result in little engagement. One way to avoid this is by ensuring you have the correct photo size before uploading to Instagram. Below are the recommended sizes for each orientation Instagram allows. Want to know more? We're going to cover the perfect photo dimensions for the following options. Feel free to jump around to what you want to know. Let’s get into the details of how to post on Instagram with the best photo size. 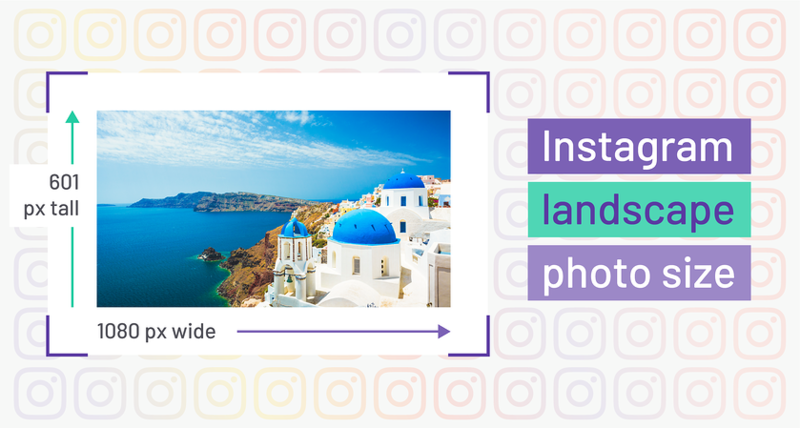 There are three different photo orientations available to Instagram users: the classic square, landscape, and portrait. You can also upload a video to Instagram. Instagram allows photos and videos with a width between 320px and 1080px. If your photo or video is smaller than 320px, unfortunately, the quality of that picture isn’t the greatest. Instagram will enlarge the photo to be 320px, which will negatively impact the quality. If your photo is larger than 1080px, then Instagram will shrink it. In general, it’s better to size down than size up when it comes to photo and video quality. Before we jump in, let’s go over the meaning of aspect ratio. Aspect ratio is the width of the picture in relation to its height. The first digit of the ratio represents the width while the second digit represents the height. For example, for square Instagram photos, the aspect ratio would be 1:1 because the width and height are the same. Tip: Check out the best photo editing software that will enable you to change the photo size, as well as crop, brighten, and more. 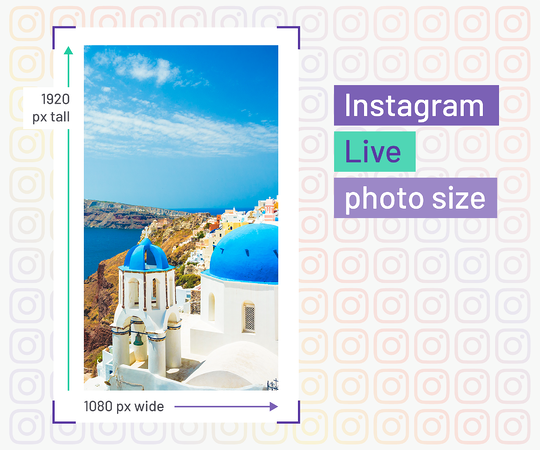 In this article, I’ll cover the perfect Instagram photo size for square photos, landscape photos, and vertical photos, as well as IGTV, Instagram stories, and Instagram profile pictures. The square photo orientation is the classic Instagram look and still very popular. If you don’t want to worry about sizing for this, there’s an easy workaround. When you open your camera on your phone, select ‘Square.’ The picture you take will automatically have the square sizing. If you want to edit the picture later, you should shoot for a 1080px by 1080px size. You definitely want the aspect ratio to be 1:1, of course. If it’s not, Instagram will crop parts of the picture to fit that aspect ratio. When it comes to landscape (or horizontal) photos, you can easily achieve the correct sizing by turning your smartphone horizontally when taking the picture. If you took the picture on a camera or held your phone differently, you should edit the photo or video to have an aspect ratio of 16:9. In general, the optimal photo size will be 1080px by 601px. As portrait mode gains popularity with the newest iPhones, more and more people are opting to upload Instagram photos with a vertical orientation. If you don’t have an Android or an iPhone without portrait mode capability, don’t worry. Anytime you take a photo or video with your phone held vertically, it can be a portrait Instagram photo. 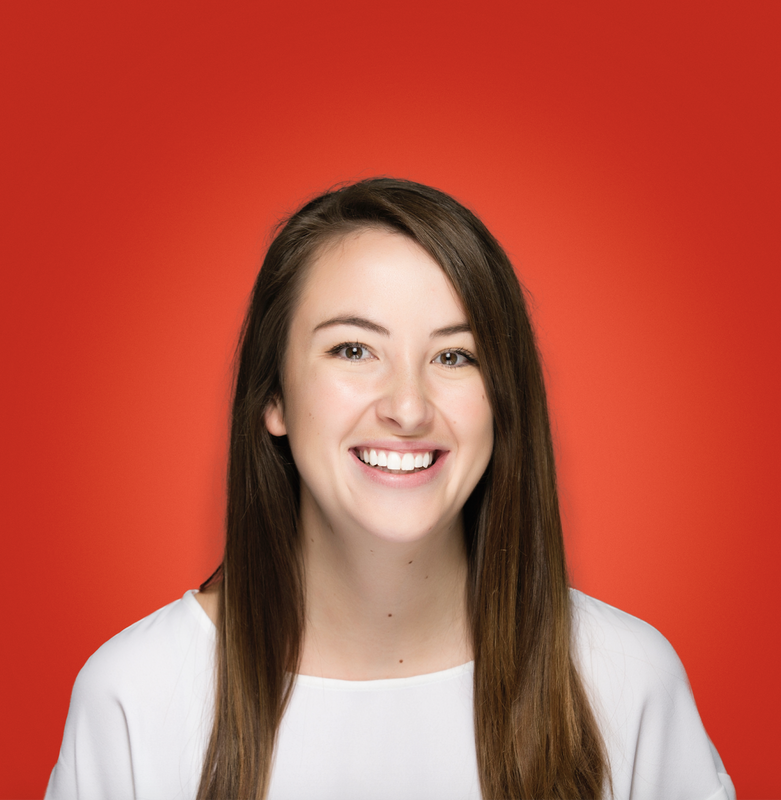 Portrait photos upload the best when they have a 4:5 aspect ratio. Anything more than that and Instagram will crop it. The best size is 1080px by 1350px. The best aspect ratio for your Instagram profile picture is 1:1. The size doesn’t matter as much here, as long as it is a quality photo. 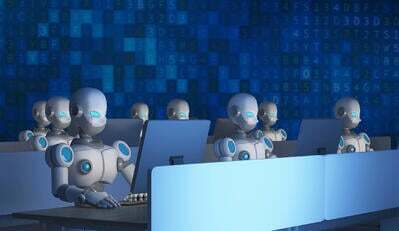 It will display on desktop as 180px by 180px, and on mobile it’s displayed at 110px by 110px. Profile pictures can be tricky. 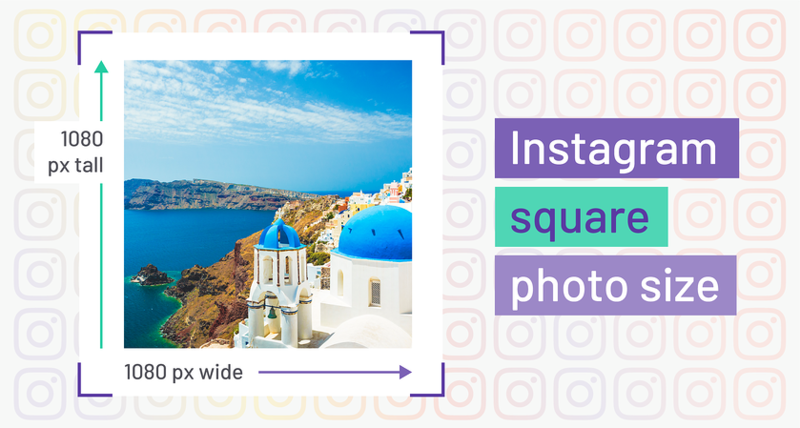 If your business has a square logo, for instance, parts of the logo might be cropped when Instagram changes the photo to a circle. Check out this guide on how to upload the perfect Instagram profile picture size for all situations. For Instagram stories, you’ll follow the same dimensions as portrait photos that you post. 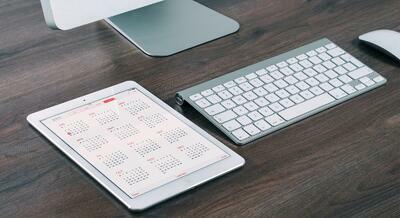 The size should be 1080px wide by 1920px tall, or a 9:16 aspect ratio. Smartphones will automatically take photos this size if the photo or video is taken vertically. If you don’t follow these exact dimensions, Instagram will make the changes for you, which could result in loss of quality. 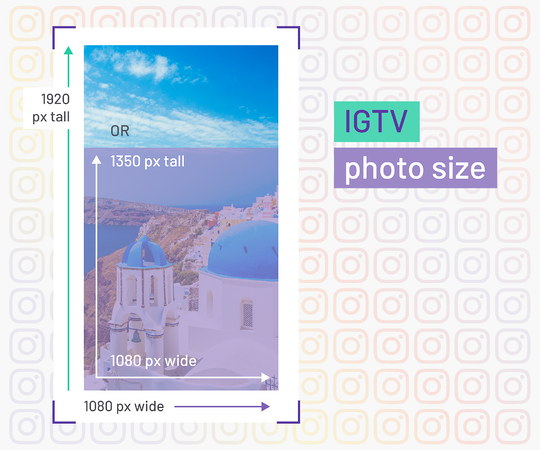 If the photo or video is too big, Instagram will crop out as much as needed in order for it to be the correct size, which means viewers could miss important parts of the photo. Or you can shrink the photo to fit, but there will be blank space on the top and bottom. Uploading with the correct dimensions will avoid these issues. To learn more about uploading the perfect Instagram story, check out Instagram story dimensions. IGTV only supports vertical photos. The aspect ratio should be anywhere from 9:16 at largest, and 4:5 at smallest. The optimal size is 1080px by 1350px or 1080px by 1920px. If you chose the larger option, the top banner will overlay your photo. Tip: Check out our IGTV guide to learn more about what it is and how to use it. If you want to go Live to show your followers what you're up to, hold your phone vertically. Instagram Live is always set at a 9:16 ratio, so the best size is 1080px by 1920px. Say goodbye to those grainy, not-quite-right images. 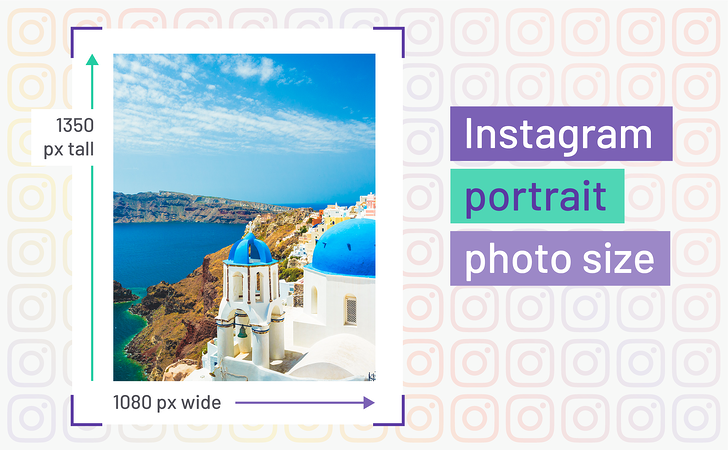 Now that you know the perfect Instagram photo sizes, you're ready to optimize your account and take your Instagram marketing to the next level! Want to learn more Instagram tips and tricks? 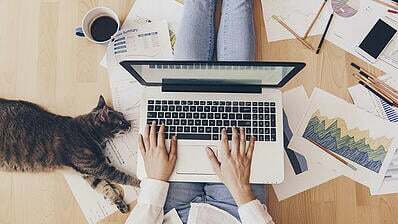 Check out these articles to become an Insta-expert.